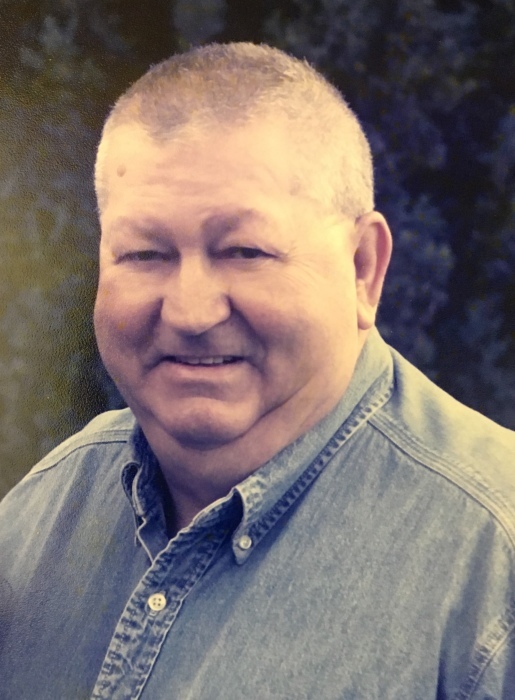 Jimmy “Jim” Dale Brown Sr., age 76, went to be with the Lord on Sunday, March 20, 2018. Jim had been struggling with COPD for a number of years. Jim had lived in North Bend over 50 years. He passed away surrounded by family. He knew he was greatly loved, and he continued to provide strength and support for his family until the end of his life. Jim was born on October 15, 1941, in Taloga, Oklahoma to Wilburt and Iceal Brown. His mother passed away when he was only 8 years old. A few years later his father married Elsie Marie. Jim was raised primarily in Oklahoma, but moved to California where he graduated, from Atwater High School, and shortly after graduation joined the Army. He served in the Army for 4 years. He served part of his military duty in Korea. After being discharged from the Army, Jim headed to North Bend where his father was pastoring a Missionary Baptist Church in Empire, Oregon. He soon after married a member of the church, Edith “Edie” Powell. They made North Bend their home, which is where they raised their 3 children. Jim and Edie were happily married for 53 years. Jim worked for the Coos County Road Department for over 30 years. He retired as a lead-man for the county, but the job he enjoyed the most was running the grader. He was blessed to retire at 56 and was able to enjoy quality time with his family. Jim’s main focus during his retired years was his family and his church. He was a member of Calvary Missionary Baptist Church in Reedsport and truly loved the Lord. His family was comforted by his faith in God and assurance of his eternal home in Heaven. Jim enjoyed crabbing, fishing, and wood working, but most of all he loved spending time with his family. He loved helping his children and grandchildren with their various projects. All who knew Jim were truly blessed. He was a man of integrity and selflessness. Jim was preceded in death by his parents, Wilburt and Iceal, and Step-mother, Marie; his brother, Pete Brown; and his sister, Ellen McNeil; sisters-in law, Coleen Brown, Shirley Brown, and Allie Brown. He is survived by his children, Jim and Gina Brown, Gary Brown, Cindy and Jess Thomas; grandchildren, Sarah and Mike Koechel, Clay Brown, Riley Thomas, McKenzie Thomas, and Hayden Thomas; and one great grandson, Owen Koechel; his brothers, David Brown, Bill Brown (Edith), and John Brown; and numerous nieces and nephews. A yearly highlight for Jim and Edie was to take their motorhome to an annual family church camp. Jim’s presence will continue to be felt at the camp, but he will be greatly missed. Friends wishing to honor Jim through a memorial gift may contribute to the Union Rogue Baptist Camp in care of the First Landmark Missionary Baptist Church – 421 S 40th Street, Springfield, OR 97478.